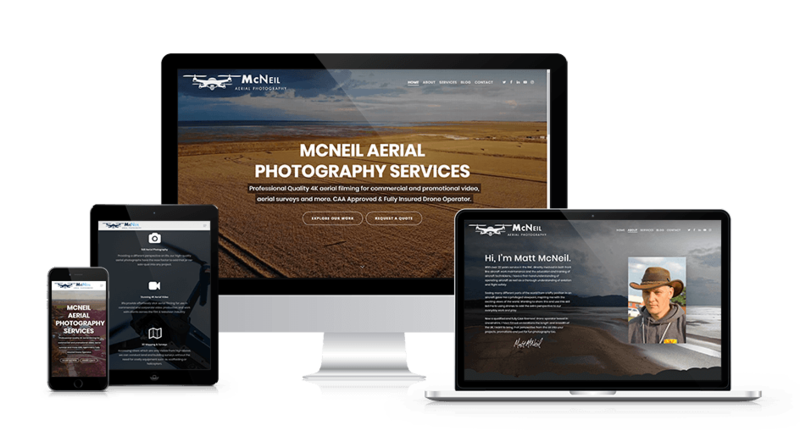 Matt McNeil is a freelance drone photographer who produces aerial still images and 4K drone video for commercial and corporate video production working with clients across the film and television industry, as well as conducting 3d mapping and building/land surveys. 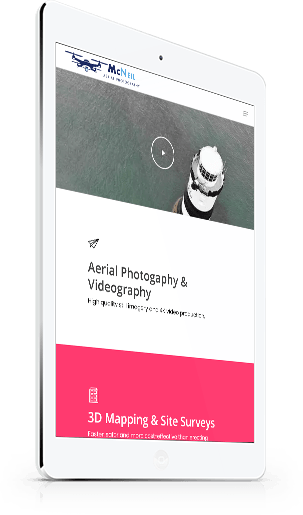 He approached Innobella Media when launching his business, to produce an eye-catching and aesthetically pleasing website to showcase his work and attract future clients. The package included fully-responsive website design, logo/branding and business email setup enabling him to use his website’s domain name for his email address.